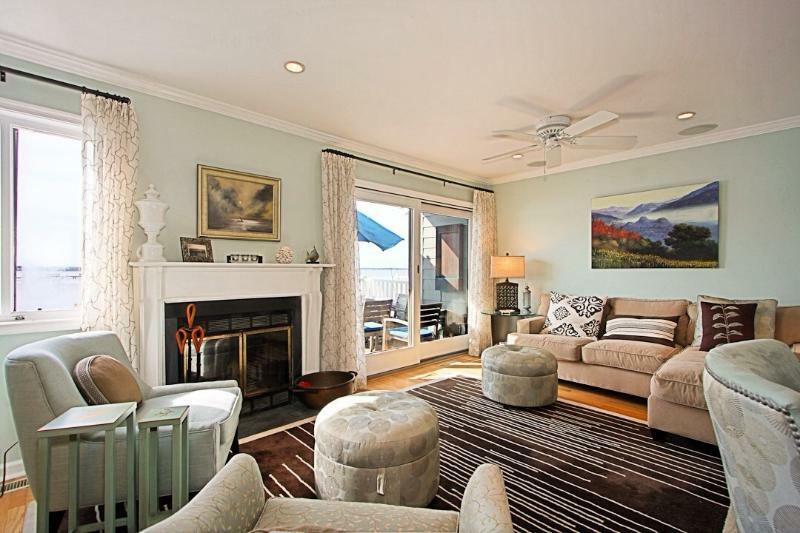 This is professionally decorated spacious waterfront property is in a great location on the bayside in Ocean City Md. You will feel right at home with all the comforts you are used to in this beautiful property . It's an Easy walk to the beach, bayside dining and nightlife. Also enjoy quiet evenings on the water on the waterfront deck with views of the bay. The bus also picks up at the end of the street to go to the boardwalk or other Ocean City attractions. This property rents full or partial weeks May through September. This is a beautiful area in Ocean City Md, close to grocery stores, bayside dining, shopping, nightlife and restaurants. Beautiful bay views. If you choose this property, you will receive a detailed check in sheet with instructions of what to bring, how to get the keys, where to leave the keys when you check out. I am also available by phone, text or email to answer any questions.